First, a big thank you to everyone who participated in the BOGO sale yesterday. Tons of fun! So last week my kiddos learned about rainbows. 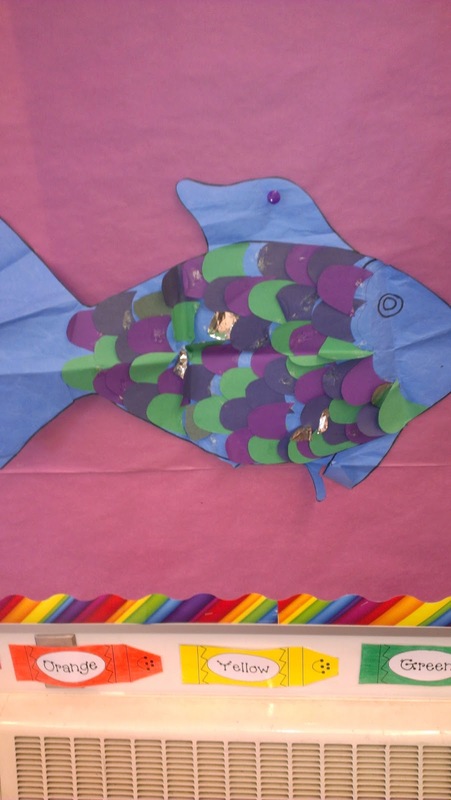 To wrap up our week, we read the story Rainbow Fish. It's one of my favorite stories...simple and sweet. I have done this lesson for a few years now. This lesson originated when I was awarded Teacher of the Year at my old school in Austin. The superintendent scheduled to visit the schools of all the TOYs in the district. So when she came to my school, I wanted to make sure I had a lesson that focused on the most important part of my classroom, the students. After we read the story, we talked about why the Rainbow Fish was special before and after he had all his sparkling scales. 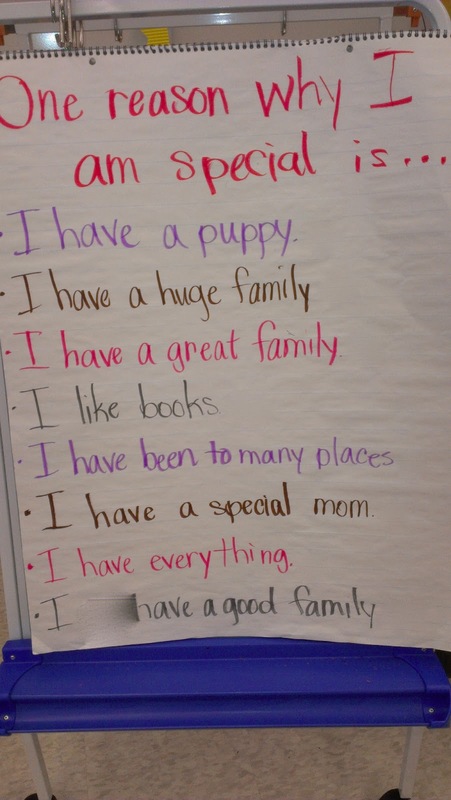 We discussed how our differences make us special. We talked about how important it is to share our "specials" or gifts with everyone. Next, we made a list of the reasons why we are special. Then, I pulled out my giant Rainbow Fish. It's a huge cut out fish that I made the first time I taught this lesson. Each year, the kiddos come up and pull out their own special sparkling scale to add to their own fish. My fish is a little beat up and needs a little TLC...but you get the point. Each kiddo gets their own mini fish and scales in all colors. One at a time, the kiddos come up the mega fish and gently remove their own special scale. They then glue the scale on to their mini fish. 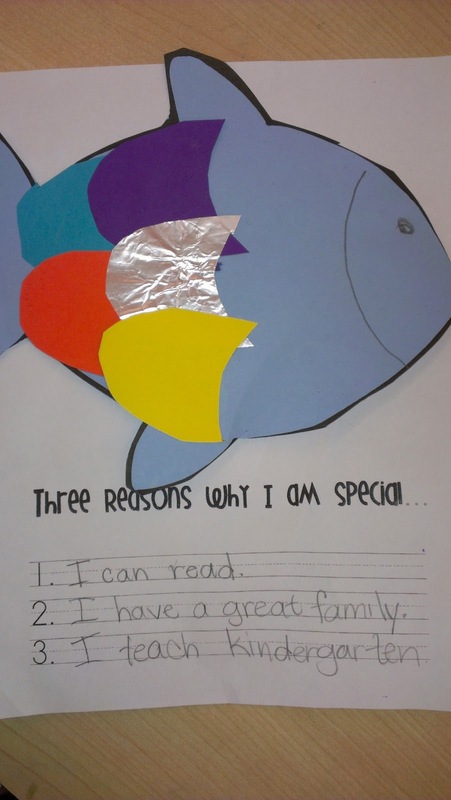 Students are also expected to write three reasons why they are special. 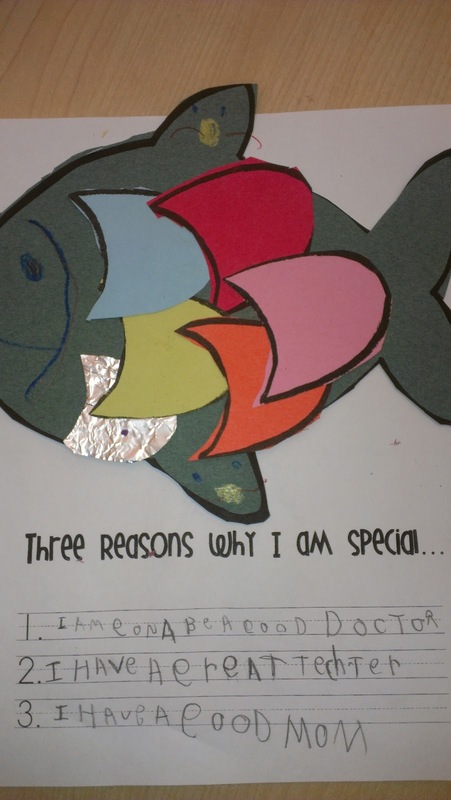 They can choose to use the the reasons we listed as a class or try to write their very own. 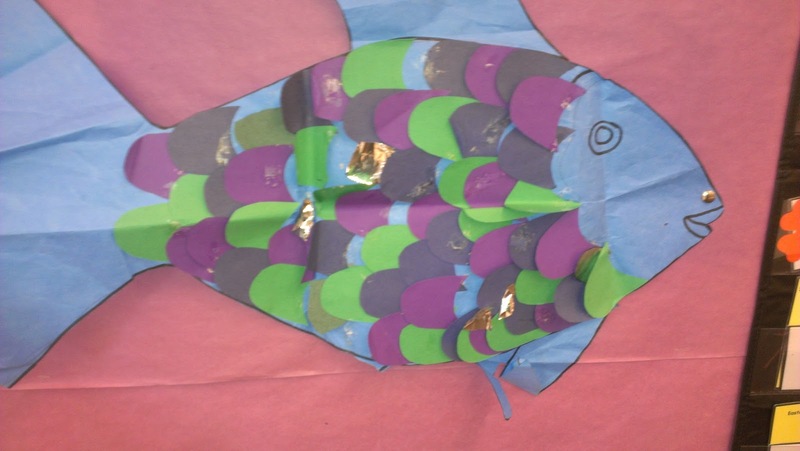 The kids had a lot of fun creating their own mini Rainbow fish. I had a lot of fun reading their reasons. Here is one of my favorites! I know it's a little hard to see but it says..
1. I am gonna be a good doctor. 2. I have a great teacher. 3. I have a good mom. I'm going to scan my blackline masters for the fish and the scales (all drawn by hand) and upload them for you sometime this week. So check back soon!